On the 16th of February 1961, Decree 2720 of the National Assembly of Costa Rica created the Boys´ Town. It was not easy either to arrive at the promulgation of this decree nor put it into practice. The first concern occurred ten years beforehand in the nuns of the Assumption, who saw the difficult situation of 8,000 street children in the Costa Rican capital, San José. The sisters alerted the civil and ecclesiastic authorities. Luis Madina (San Sebastían, Spain 18/8/1911 - † Cali, Columbia, 16/11/1984), Augustinian Assumptionist. He directed the “Boys´ Town”, founded by himself in 1944, in Vallecas, a worker´s district in Madrid, the Spanish capital. In March 1958 he arrived to Costa Rica full of ideas, hope, and with the security of the promises of the country´s government. They put him in charge of the Dormitory Home of Domingo Soldati, in San José, with some 150 interns and almost catastrophic situation. Documentary about the reality of Costa Rica´s Boys´ Town. The place was the first problem. The conditions of Soldati´s Home were deplorable and lacked possibilities for expansion. Madina´s idea could not be developed here. The search for a place created the first controversies. 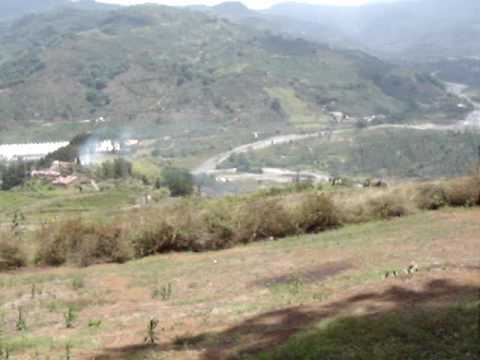 A Foundation offered the territories of “La Lirana” and “La Esneñanza”, in Aguacaliente in Cartago, the actual situation of the Boys´ Town. But it took four years to get there: on the 19th of August 1962 they transferred the Boys´ to the new facilities. Finance was the second problem. The lack of a budget had clear causes: the crisis in the country; the natural disasters (like the eruption of Irazú in 1963); the size of the project; the abuse and deception of some to obtain personal benefits...Madina felt there was a lack of interest by part of the Government and he felt unable to give a response to so many problems at once. The third problem was the most serious of all. Madina was a visionary, someone ahead of his time, a founder who became the initiator of four “Boys´ towns”; he was demanding, brusque, and lacking in diplomacy. His relations with the authorities become so embittered that his remaining in the project became impossible. Alberto Izaguirre, Augustinian Recollect, found himself in 1965 in Alajuela (Costa Rica) in order to buy the territory and construction of a church in El Carmen district. An old friend of the bishop of San José, Carlos Humberto Rodríguez Quirós, came to visit him. After the greetings and talking about their lives, the bishop spoke of his worries. The Assumptionists leave the Boys´ Town and leave 175 children alone in eight sections and an enormous space. The bishop had talked with various congregations without any result. In six months the Augustinian Recollects had established a parish in Alajuela. Would they be able to fix this mess in even less time? Izaguirre communicated this to the Vicar of Mexico and they accepted the new challenge. On the 31st of May 1965 they signed a contract and on the 2nd of June los first recollects arrive. They receive the task with any resources and an enormous list of outstanding payments. Many collaborators have gone away and the civil authorities are on the defensive after their strained relationship with Madina. The young Boys´ were no better in their attitude. They accused the Recollects of throwing out Madina “to get everything”. They were young Boys´ from seven to twenty years old in a reformatory atmosphere; they had suffered changes of place, shortages and the problematic departure of the Assumptionists. The Christmas Season in 1965 saw peace between the students and the new management. They started the first farming and agriculture projects: they disinfested the pastures, they drained off the land, they planted trees for timber, and they sowed sweet corn, beans, potatoes, and put in livestock for fattening up and for milk. In January 1968 250 students came to be accommodated. This entailed a huge continuous effort to feed and educate them all. These first years were instructive with unfulfilled promises or painful situations; and at the same time, full of providence and of support arriving from unexpected quarters. With the times of begging now passed, the Boys´ Town took on its actual appearance: they open the school and the workshops for mechanics, carpentry and bread making that will acquire national fame. This will open the doors to another area: social relations. The institution becomes known and shows its needs. People from the Church and social services visit, and Boys´ Town signs agreements with Government institutions, embassies, businesses and charitable groups. Between November 1969 and July 1972, Boys´ Town published a magazine on social thinking and of critical mentality called Ilumina. There were twenty-one editions, some of which came to have a circulation of 10,000 copies. At the beginning of the 1970´s they started the second phase of construction on infrastructures with new pathways, a sports facility and swimming pool and amplified workshops. 1979 was the International Year of the Child, an opportunity to revise the pedagogical methods. The Recollects now had the security that their situation in Boys´ Town was not transitory. The various buildings, with 90 children in each one in military style were not the most appropriate. For this reason they built lodges for the students in the first year, with a foster family and a number no larger than twelve. In that time the workshops were the main focus on the pedagogical scheme and they taught the principles of a profession. The land produced 20% of the available resources. Sport and the spiritual life completed the picture of what the Boys´ Town could offer to the students. They also had the experience of being a seminary, where some of the students who had shown interest in the religious life lived. In 1980 they created the Graduates Association. Between 1980 and 1983 the nuns of Saint Anne´s Charity maintained a community in the Boys´ Town. At the end of this decade the legal structure was updated to resolve incompatibilities between the Constitutions of the Augustinian Recollects, the norms of the diocese and civil laws. On the 16th of February 1996 they published the New Law of Creation for the Boys´ Town which represented consolidation, security and autonomy for the pedagogical projects. There was a notable improvement in the institutional relations, in the technical programmes, and information technology was introduced. Various instructors graduated which added to their vital experience so that new students would feel more integrated. The model of living together in the lodges, despite the corrections which had to be gone through, guaranteed a familiar touch to the education. The buildings were divided into small rooms for four students and were now called “residences”. In 1998, to mark the 410th Anniversary of the Order of the Augustinian Recollects, the Church was opened after ten years of construction based on a project by Miguel Fisac. Also in the year 2000 they opened a museum with archaeological artefacts found on the land in the Boys´ Town. The University of Costa Rica has stated that the zone was an important settlement for the population circa 500 B.C.E. This same course they started the experience of Youth Meetings that have meant so much to the students for the discovery of the Gospel and the Christian faith. From these meetings have come about petitions for baptism and life changes. Since then, they have been celebrated annually. Formative, pedagogical and cultural activities of the students in the Boys´ Town. The construction of a new library, a games room and the Internet open the mentality towards the world and culture. They have strengthened the vision of integral education, the quality criteria, and the areas of psychosocial attention. Since 2007 the Technical School of Saint Augustine has been functioning to integrate in one programme the technical and academic education. There has been a strong emphasis on ecology and art. They have signed agreements with universities and businesses; and volunteers from all over the world live in the Boys´ Town. They transmit values for a society more conscious of social relations, the physical environment, and new technologies. They have also become a spiritual reference. Hundreds of people attend their liturgical celebrations weekly, in beautiful church and a space which invites families to walk and enjoy nature. Through the Boys´ Town have passed, since its beginning, around 10,000 adolescents, with a present population of around 350 students and some seventy annual graduations.